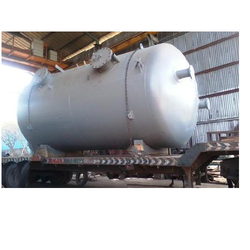 We are one of the leading organizations engaged in the manufacture of Fuel Storage Tanks. For the safety of the people, these tanks are manufactured using high-grade steel and other material procured from high ranking vendors in business. Furthermore, these products are constructed by expert professionals and sophisticated machinery. We are the Authorized Distributors for Piaggio vehicle spares for three wheeler auto spare parts. Supported by a team of skillful and assiduous professionals, we are engrossed in bringing forward a wide variety of Thermic Fluid Buffer Storage Tank. 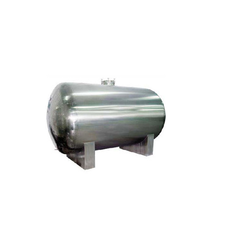 With the help of skillful team, we present an extensive range of Aluminum D Fuel Tank. Our products are available in diverse specifications that meet on client’s demand.